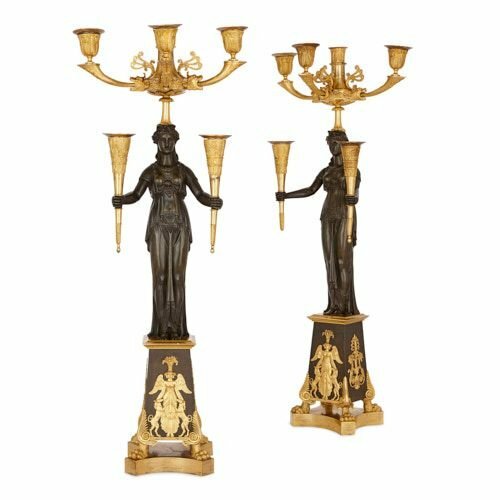 These magnificent Empire period bronze candelabra take the form of archaic female sculptures, who carry candle-holders in their hands and on their heads. 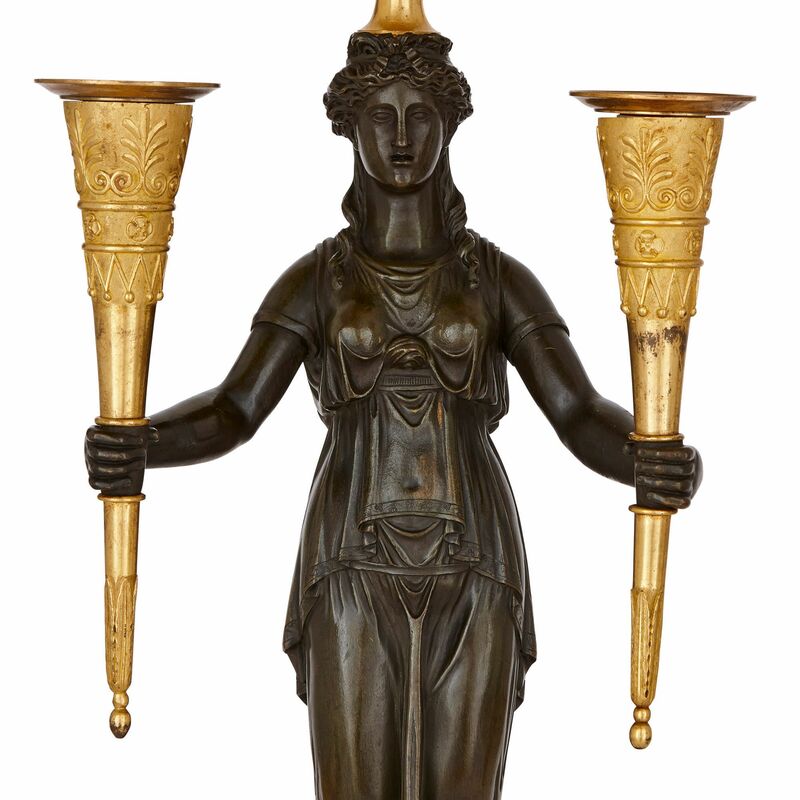 The bronze stems take the form of women, who stand on tall plinths. These plinths are covered with a light brown patina and are decorated with gilt winged female figures, carrying baskets of fruit on their heads. Each woman strokes the heads of two dogs, who stand on their hind legs and lean against her. The sides and backs of the plinths are ornamented with gilt scrolled foliate motifs, topped by palmettes. 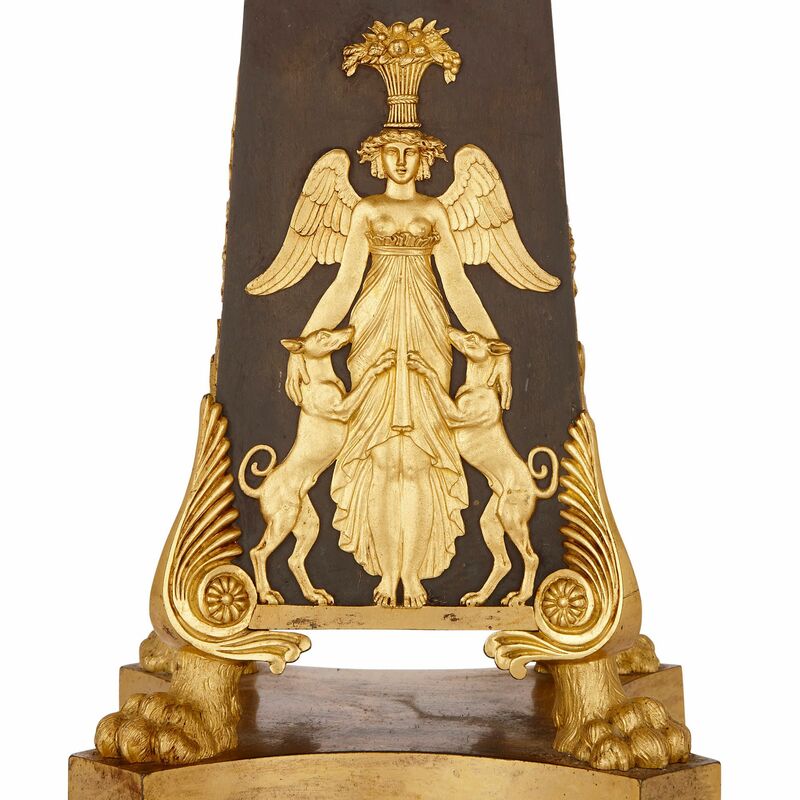 The plinths are each set on four ormolu paw feet, placed on shaped, square gilt bronze bases. 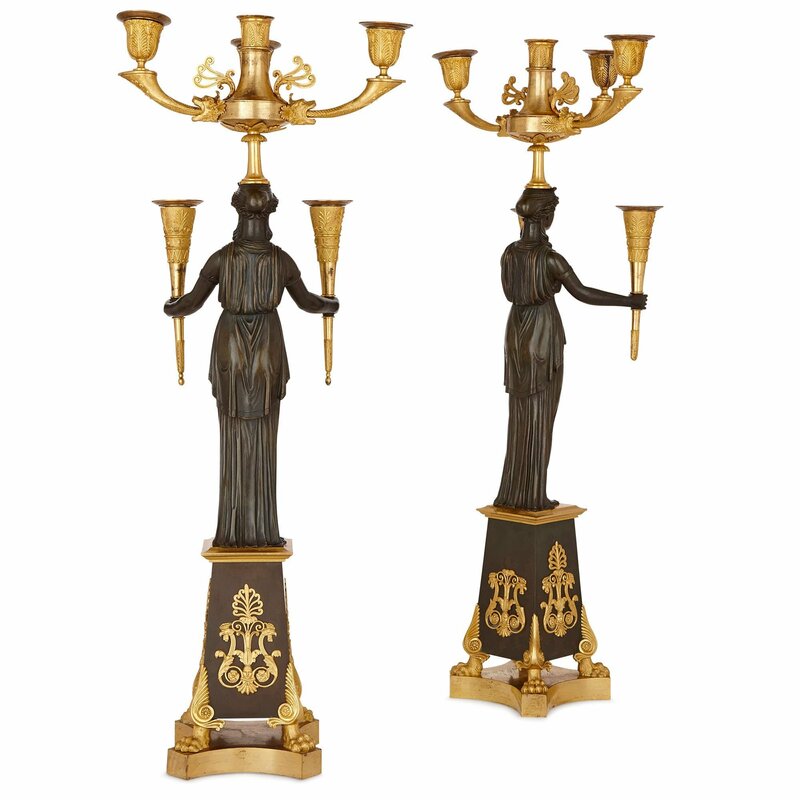 Above, sculptural patinated bronze women serve as the stems for the candelabra. They adopt stiff, monumental poses, reminiscent of ancient Egyptian or archaic sculpture. The women wear sheer dresses, which cling to their bodies. 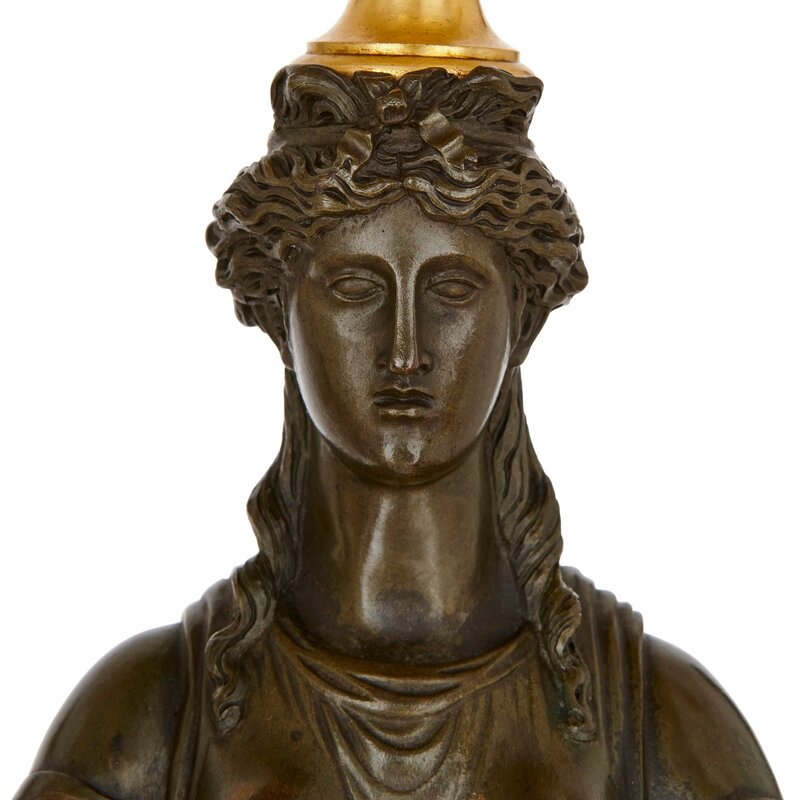 Each woman holds two gilt bronze lights in her outstretched hands, and supports four more on her head. Those held in the women’s hands are conical shaped, and are decorated around their tops with palmettes. The lights carried on their heads are raised up on slim stems, and are crescent-shaped in their arrangement. 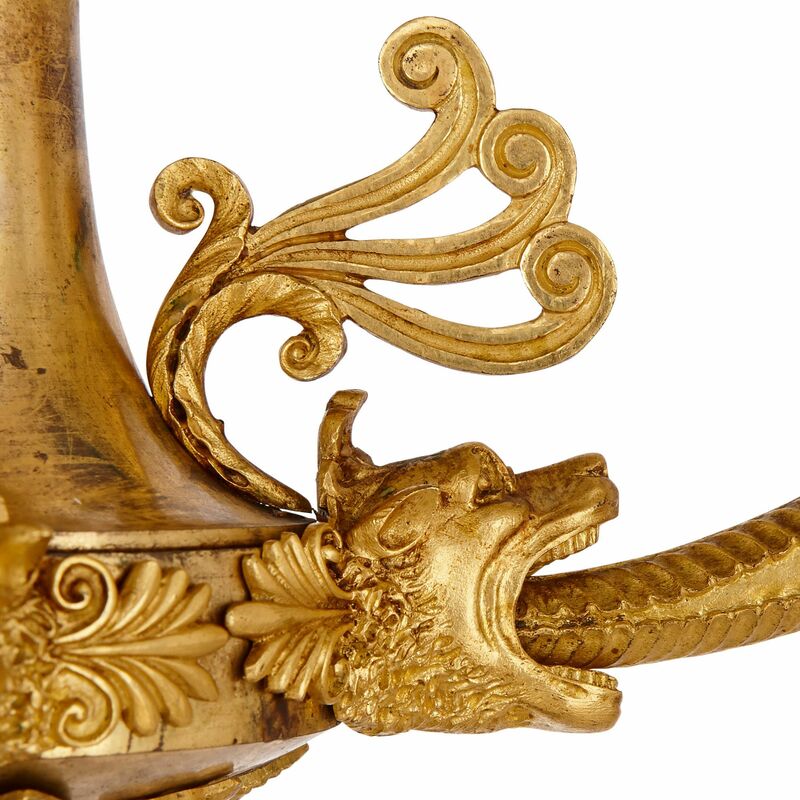 Three of the lights have cornucopia-shaped arms, which extend from open-mouthed dogs’ heads, and terminate in urn-form palm leaf capitals. Stylised, curling leaves decorate the space above the dogs’ heads. 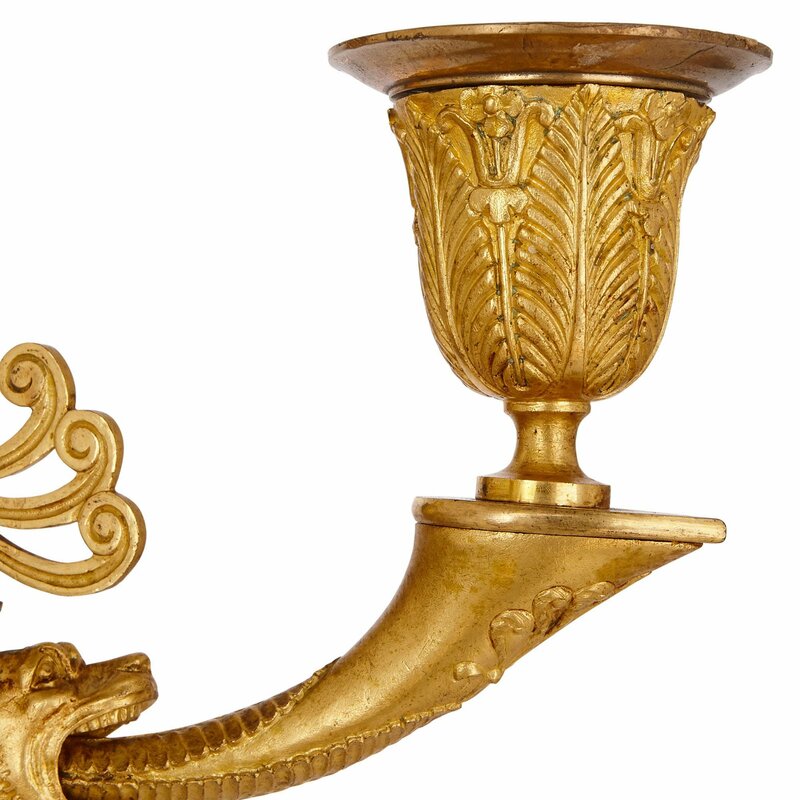 On each, a cylindrical central light directly tops the stem, ending in a simple leafy capital.